We extend a very warm welcome to you, whether you're an absolute novice or a lifelong sailor. 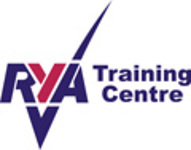 We are an RYA affiliated club with +/- 500 members of all ages and abilities. As well as sailing, our members enjoy full use of the onshore club facilities with panoramic harbor views, licensed bar, weekend galley, changing rooms/showers and free parking. The club is maintained and managed by its' dedicated members who volunteer to do duties and organise sailing and social events. This keeps running costs low and creates a tight knit community amongst the membership. Langstone Sailing Club offers excellent cruiser and dinghy opportunities for sailors of all ages and abilities in the sheltered tidal waters of both Langstone and Chichester harbours. Access to the Solent and beyond is possible from either side of the bridge. Water access is dependent on tides; generally about 2hrs either side of high water for most of the cruisers and 2.5hrs for dinghies. There is an extended concrete slip to maximise access on each tide. Most of the boats are owned personally by members, however the club have a small fleet of dinghies which may be used by junior or adult members for racing or cruising.The Club also owns a 21ft launch and 4 boats for race patrol duties and safety cover, plus a boat for laying moorings and race marks. Racing is organised on Saturdays and Sundays between March and October, most Bank Holidays at times dependent on the tide, and when light and tide permit, for a short summer evening series. Check the calendar for details. In previous years Langstone SC has hosted the Sharpie Europeans, Topper Southern Area Championships, Wayfarer Southerns and is a regular venue for the Laser 2000's. The club welcomes enquiries to host open meetings for up to 80 boats. There are also occasional organised dinghy cruises to the Isle of Wight, around Hayling Island, and in Chichester Harbour. The clubhouse is easily accessible by road from the A27/A3, by train at Havant or cycle via the scenic Billy Line Trail. The Clubhouse has changing and shower rooms downstairs and a large Clubroom and bar above, with excellent views over both Langstone and Chichester harbours. The bar is open to members on Wednesday and Friday evenings and at lunchtime on Saturday and Sunday.